It's that time of the year... new growth and new life! The perfect time to take advantage of the extra light of the day and spruce up your Fairway West home! Of course, time is valuable to everyone so here are some not very time-consuming tips! Use a microfiber or lint-free cloth to dust fixtures and bulbs that you can reach. For those you can’t reach and for ceiling fans, skip the ladder and use an extendable duster. To clean grimy bulbs, lightly dampen your cloth with a mix of vinegarand water. Caution: Be sure your light bulbs are cool to the touch and your hands are dry. You can clean our Milgard SuncoatMax window tracks by using something you already have, a used toothbrush as well as a vinegar/water and baking soda mixture. With just a little effort can get them to look almost new again! Click on this Pinterest page for details! 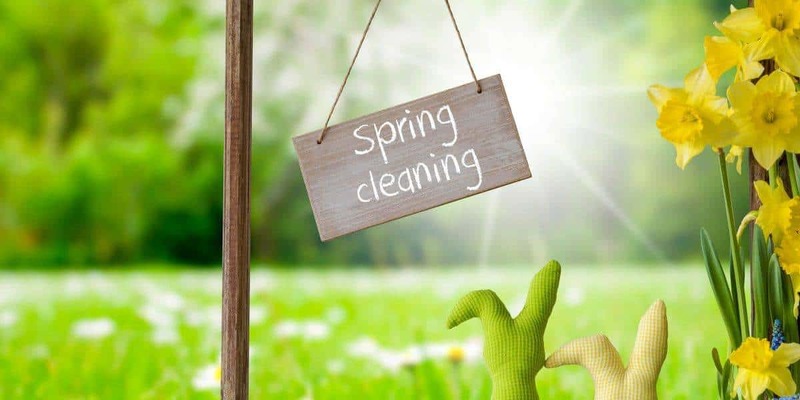 While you’re at your windows vacuuming the curtains or spend a few minutes cleaning your blinds with a mixture of water and vinegar will certainly make you feel ready for springtime! Nothing is scarier than what accumulates under your bed and other furniture, the monster called Dust Bunny! By getting the extension out on your vacuum cleaner and getting rid of that unwanted pet, it will make you feel like you’re doing the best for your family!